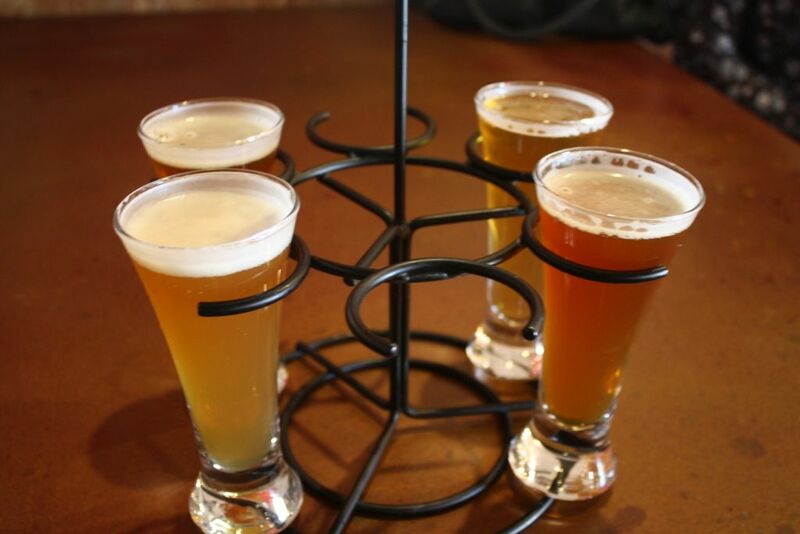 Sometimes as a blogger I am not able to try every single beer at a brewery, either because certain styles aren’t interesting to me or because there are too many beers on tap, or other times because I plan on visiting two places in one trip. 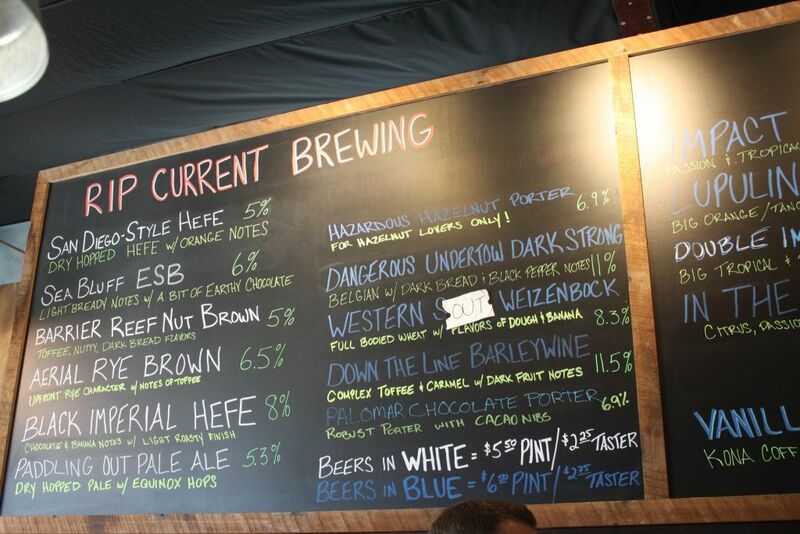 In this case when I visited Belching Beaver and Rip Current together in their North Park locations, especially because of their proximity, I mostly tried the hoppy beers available at both. At some point I may go back and update the blog with information about some of the other beers they have but for now this will be the first in what may become a series of Hoppy Visit series of posts primarily aimed at telling hop-heads what is good at a brewery. 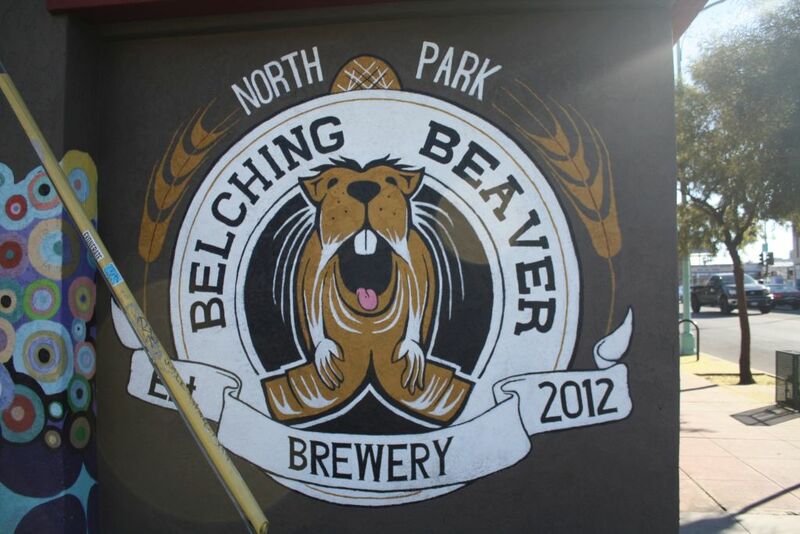 Before I get into the beers though I wanted to make an observation about the atmosphere at Belching Beaver North Park. Like other bars in the area I found Belching Beaver to be the sort of place I would not want to spend much time, due to loud music, often in the form of hip-hop that made me leave as soon as I finished my four tasters. The music was thankfully not as loud as I tend to encounter at Toronado but not something I like to see at a tasting room. I’m sure I will en joy Belching Beaver’s beers in bottles elsewhere but I probably won’t be returning to the tasting room anytime soon. 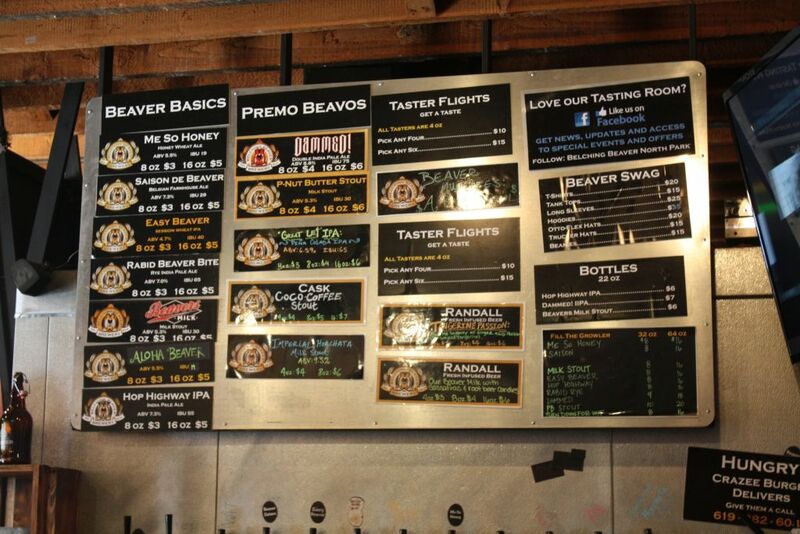 Belching beaver is known for the peanut butter milk stout and horchata imperial stout because they get the most buzz. If you like flavored stouts these are great but I did not try them in this visit. I tasted the Hop Highway IPA, Rabid Beaver Rye IPA, Great Lei pina colada IPA and Damned Imperial IPA. 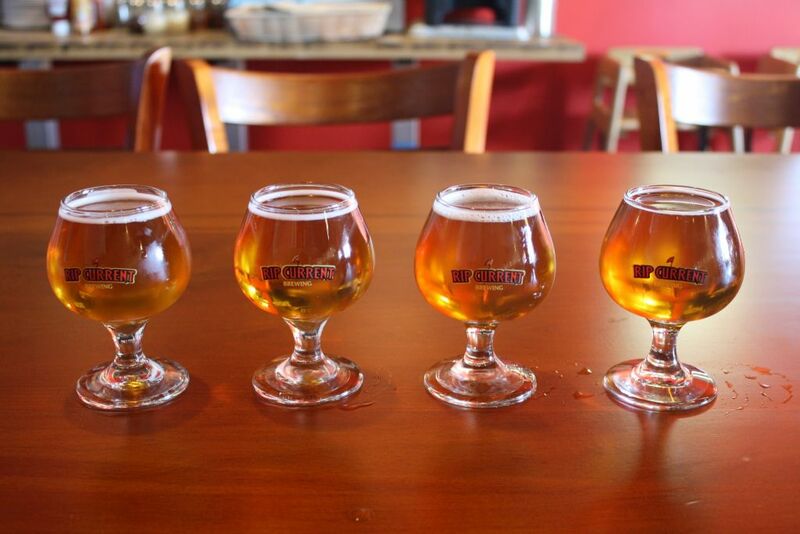 As you will see in the photo, Belching Beaver uses some interesting tall skinny taster glasses. The Hop Highway IPA was a solid balanced west coast style IPA with lots of citrus and not too bitter. It is a nice easy drinking beer. Compared to hop highway, the rabid beaver is a bit more bitter and has some of the additional bite from the rye but is otherwise a very similar flavor of beer. I prefer the rabid beaver personally and think it is more of what I look for in an IPA. I actually really liked the great lei pina colada IPA with its light body and low bitterness and plenty of great coconut flavors. It did a great job creating the pina colada flavors without making it too sweet. Finally, the Damned, a boozy double IPA with plenty of caramel malts and tart apple flavors that are balanced by some intense bitterness. This is much more interesting when you get to sip a larger pour, like in a 22oz bottle I have tasted before, but it is still an interesting beer overall and a solid double IPA. Next came Rip Current where I tried their Impact Zone, Lupulin Lust, Double Impact Zone, and In the Curl. I also added the Palomar Chocolate Porter and Vanilla Coffee Stout after that. 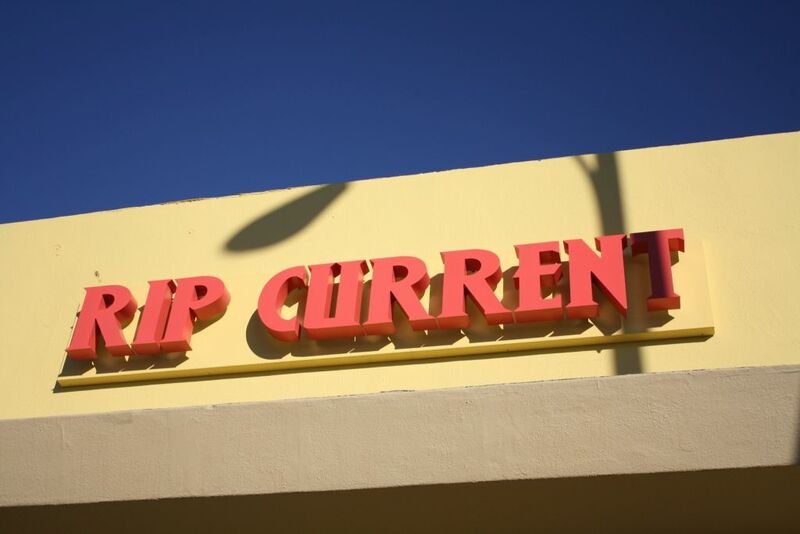 Rip Current was noticeably less busy and more importantly less noisy. I was able to relax and take my time to sip my beers. The Impact Zone IPA was a solid basic IPA with plenty of good citrus and low bitterness. Though here as well I preferred the Lupulin Loop sporting much more flavor and a nice balance of citrus and resin. Next came up the Double Impact Zone which was much more flavorful though a little boozy and more what I like to taste. The higher alcohol intensified the citrus flavors, making it more tasty. 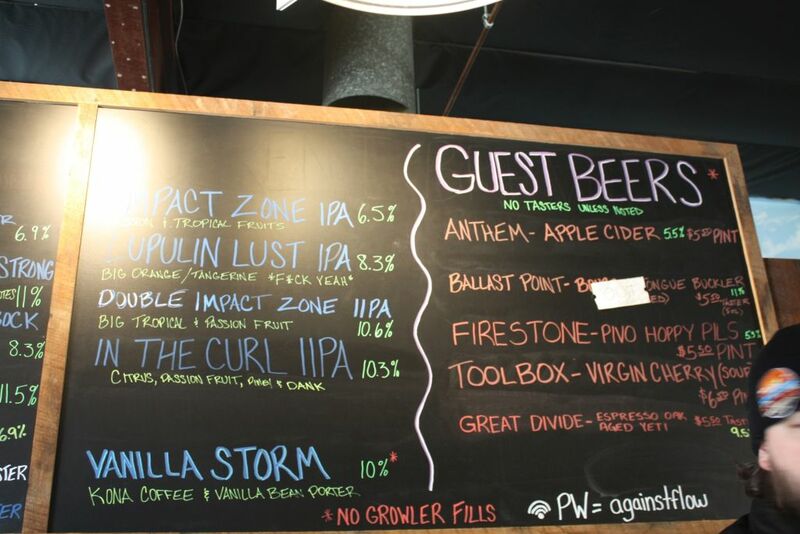 Then came the In the Curl, another double IPA that was very similar to the Double Impact Zone. Both were quite good. Finishing with some dark beers, the Palomar Chocolate Porter had some nice dark chocolate and roasted malt flavors. The beer was overall good and smooth, a solid porter. The vanilla coffee stout was a bit higher on the alcohol but it really hides it well. It had some great tastes of nutty coffee and vanilla like you typically see from this style. 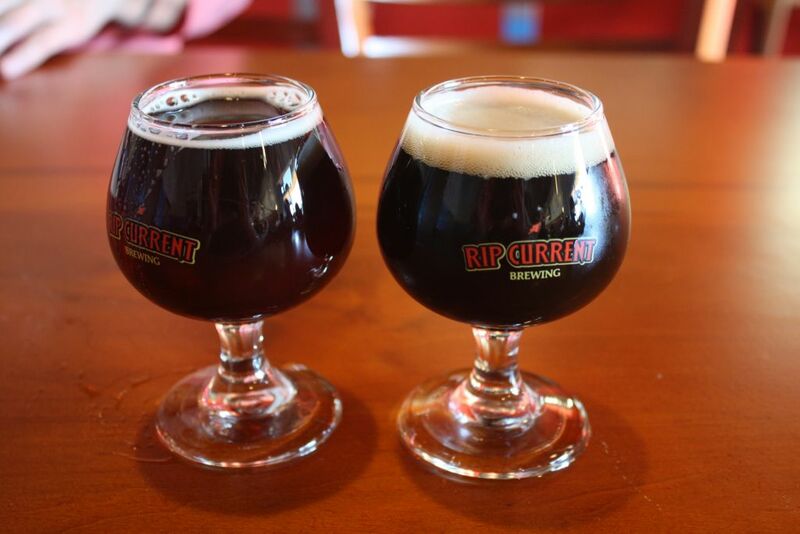 Though both breweries had some solid offerings I found myself favoring Rip Current due to the more relaxed atmosphere and lack of loud music. If you are a fan of IPAs or stouts you will find plenty at both though the flavored stouts at Belching Beaver are not for everyone.